I am Ken from the Apex 17 MBA group which you worked on the batch of caricatures last month. For my own personal use, may I request you to quote me for a self portrait and a family portrait. Just a little background, I work in the satellite and space industry see attached photo. 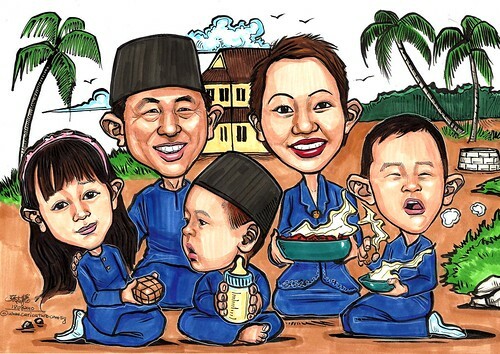 and for the family I prefer a caricature of us in our traditional malay dresses.My wife likes to bake....... youngest likes the milk bottle." 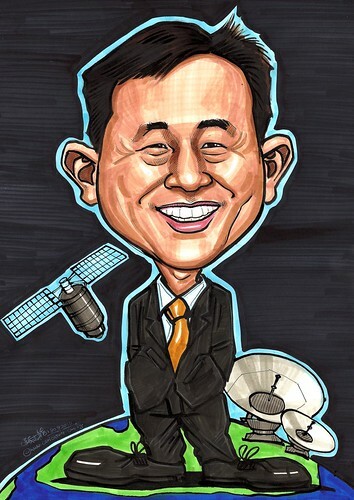 This client received his caricature from a job I did for NUS. and another one for himself.